We recognise that your driveway and patio areas are an investment you have made in your home that you want to protect and keep in tip top condition as well as looking clean and tidy. The SkyVac is a unique solution to blocked guttering, all from the safety of the ground without the use of expensive scaffolding or ladders. There are many parts of a building that are difficult to reach and cleaning them can be a health and safety risk. We're specialists at cleaning from ground level using specialised vacuum equipment. 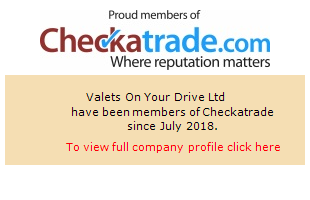 As our name suggests we come to you to valet your car or commercial vehicle at your own home or office. It's a service we have been providing for many years with great customer feedback. We offer our cleaning services all over Staffordshire and the West Midlands. Contact us for a free quotation today!